Austintown- Funeral services will be held 10:30 AM Wednesday at the Lane Funeral Home-Austintown Chapel for Edward E. Elliott, age 79 of Austintown who died Saturday morning in St. Elizabeth Hospital. Gene was born Sept. 16, 1927 in Canton and was the son of the late Edward E. and Elizabeth (Wensel) Elliott. He had been a toll collector-supervisor for the Ohio Turnpike Commission for 32 years retiring in 1987. He was a member of the Austintown Community Church and Masonic Order. 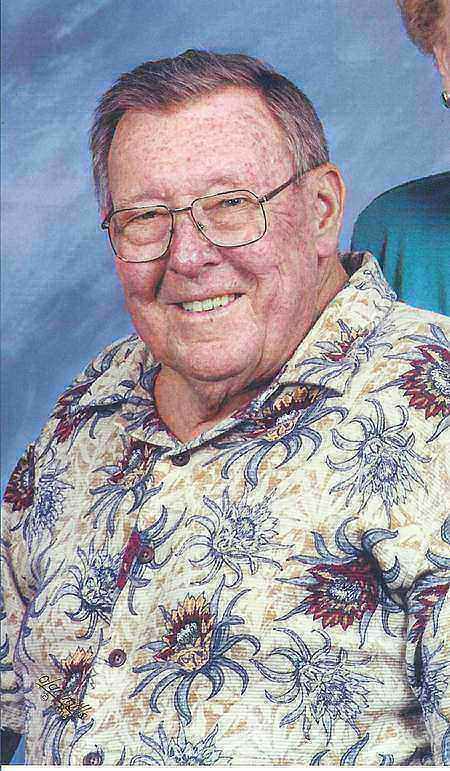 Gene was an avid golfer and bowler, bowling a perfect 300 game. Gene had served in the U.S. Air Force during the Korean War from 1950-1953 as a Staff Sergeant. He had worked at the Colonial Inn at the Canfield Fair for the Austintown Community Church for 50 years cooking breakfast. Gene leaves his wife, the former Esma Taylor whom he married June 20, 1953. He leaves a daughter Connie Lee (Michael) Gabrielli of Evergreen, Colorado, two sisters Donna (Edward) Dolovy of Phoenix, AZ. and Nancy Lynn of Austintown. Friends may call at the funeral home from 4-7 PM Tuesday. The family requests that material contributions be made to the Austintown Community Church.